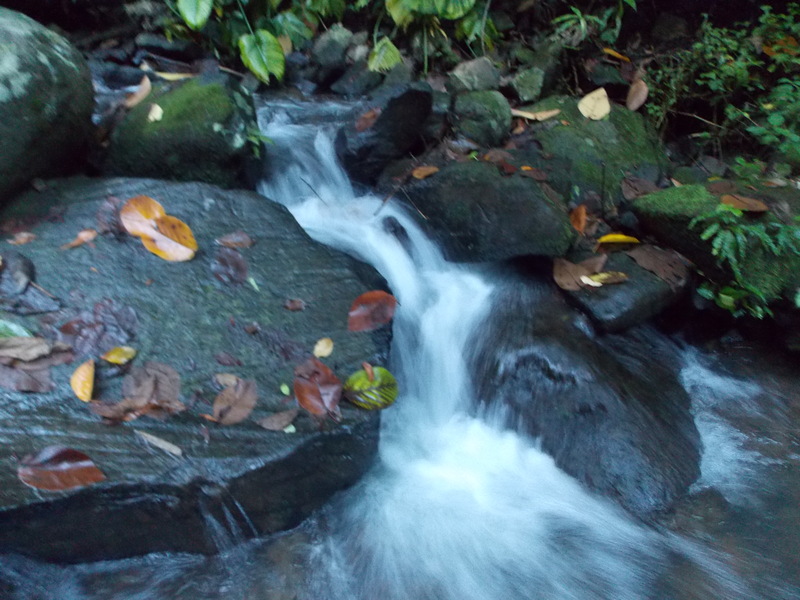 The Philippines is indeed blessed with a wealth of nature’s wonder. When we thought that we had seen it all, it is then that we realized that there’s more to see and explore. 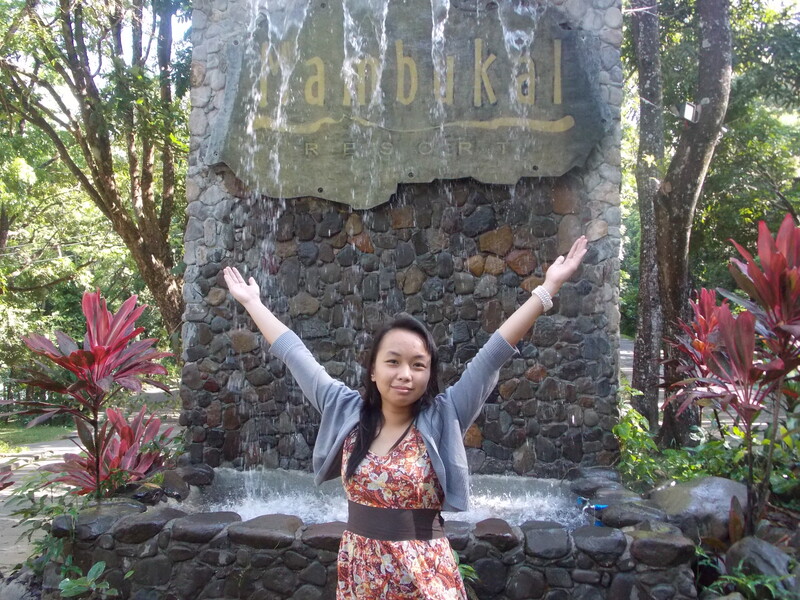 Recently, we stayed in Mambukal Mountai Resort in Murcia, Negros Occidental. The trip was, once again, work related, so in order for me to really enjoy the place, I woke up a bit earlier than usual and decided to walk around the resort. 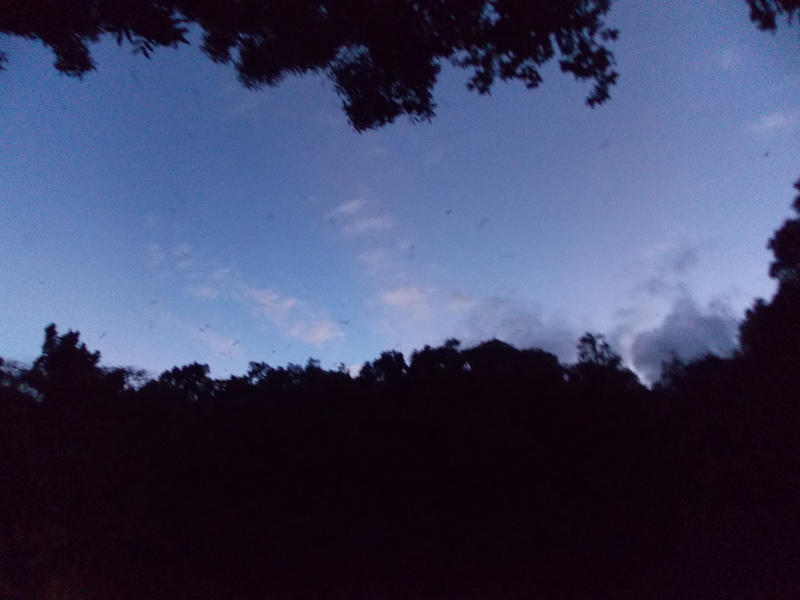 I was up before the sun’s up. It was pretty cool, cold and serene. 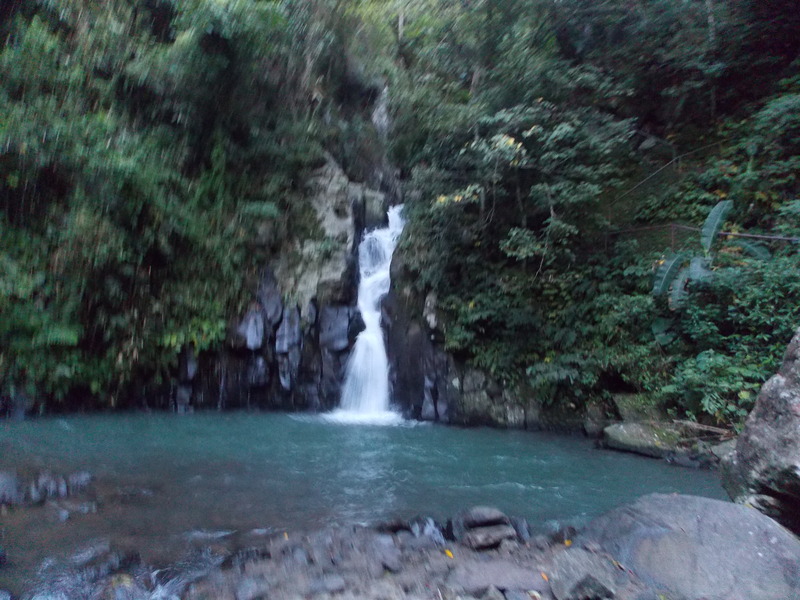 For more info about Mambukal, click this link http://mambukal.negros-occ.gov.ph/. I’ve been travelling all over the country for the past nine years. Some are personal travels, most are work related. And always, by God’s grace, I travel via plane. In my latest flight, I was bound for Bacolod City. 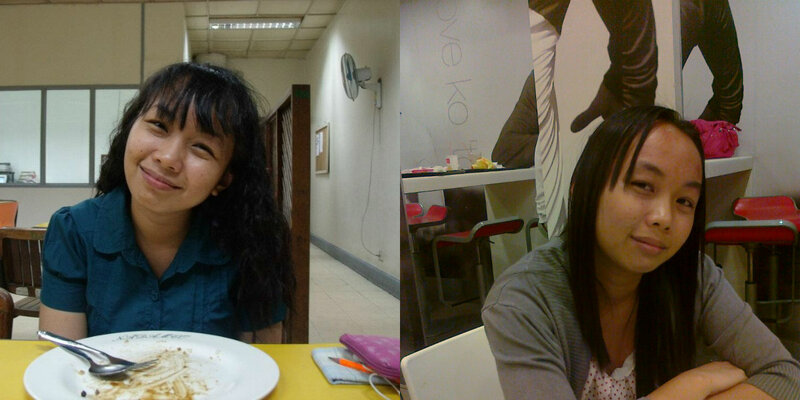 Since I took the earliest flight that day, 6:00 a.m. , I was at NAIA Terminal 2 by 4:45 in the morning. As I sat at the departure launch, memories came flooding into my thoughts. I remembered when I was a kid, living in the farm with my grandparents. Every time I would hear the plane’s engine, I would ran out into the fields and try to run after it as it zooms above. Then with so much energy and happiness that a kid can contain, I would go into my grandparents and make a proclamation “Someday, I will ride a plane!”. And so I nurtured that dream in my heart, making it part of my motivation and inspiration. Fast forward to the present and here I am,by God’s grace, riding planes almost on a weekly basis, going to places, seeing sights and scenes that I have never even dreamed about before. If my grandparents are alive today, I am quite sure they would be happy. And for all of these, my praises and thanksgiving is for the Lord. For making me dream high, fly high. I am pro- RH Bill. This bill has been in the Philippines’ House of Representatives for more than a decade. And yet, it remain what it was years ago – a bill. Still subject for the legislator’s endless,redundant and often times just senseless arguments, questions and queries that has been repeatedly answered. Sometimes, I wonder how can this legislators just let this bill stay “dormant” when lives of their constituents are being at risk. It is clear on the above mentioned legal mandate that the state will have to fulfill its duties in protecting both the mother and the unborn child. First, the Revised Penal Code clause on abortion. Yes, abortion is illegal in this country and it will remain that way even if there is Reproductive Health Care policy. What RH Bill seeks to address it to ensure that women suffering from post abortion complication is treated in health care facilities without bias and judgement. Many women have died from post abortion complications because health care facilities and providers are either not ready or/and not willing to help them. The Penal Code requires the imprisonment of the woman and those who help her in the abortion process, not those who treat post-abortion complications. Secondly, Article II, Section 12 of the 1989 Philippine Constitution. It clearly states that the state shall EQUALLY PROTECT the life of the mother and the unborn child. Many of those who opposed the bill focuses only on the premise of the unborn child, disregarding the welfare of the mother. Often times, when a single pregnant woman avails of the pre-natal services in health facilities, she is meet by prejudice and biases of the healthcare providers. In far flung communities, they are not even able to avail of the services. For those couples seeking family planning services, many can’t avail due to the cost. This is what RH Bill seeks to address. It aims to provide capacity building investments to healthcare providers on how to treat their clients without prejudice and judgement and to ensure that health care services and facilities are accessible, affordable and discrimination free. Many also opposed the bill, thinking that it would mean controlling the number of children a couple should have. This is entirely WRONG and MISLEADING. What the legislation does are the following – ensure that every couple can plan and decide when to have and how many children. It never imposes on the number of children and nor there will be sanctions. The legislation also wants to ensure that there is equality and equity in the distribution of available resources. We can never control the population. What we can do is properly manage our resources to ensure that everyone gets a fair share of it. More posts about the Reproductive Health coming up. For now, this is it. Watch out for my post about RH Bill and Faith. Here’s a list of several things I want to achieve ( by God’s grace) before I turn twenty five. 2. 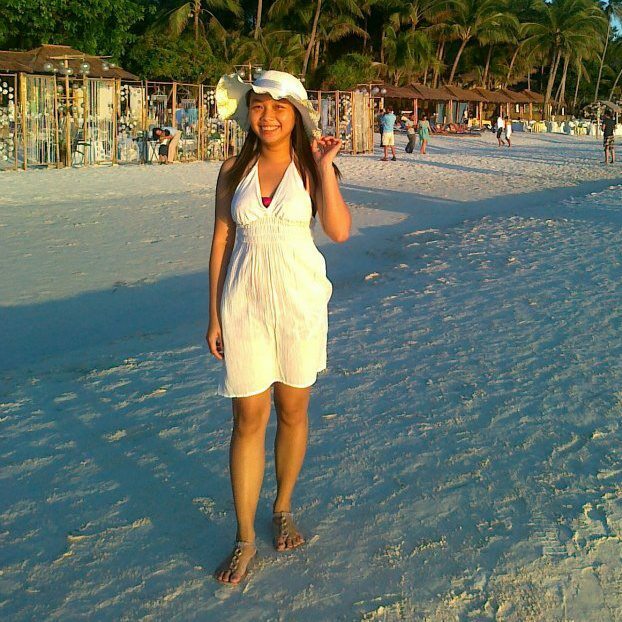 Visit ten places in the Philippines on my own, not work related. ( Boracay, Pantabangan Dam, Mount Maculot, Banaue, Ilocos, Bohol, Baler,El Nido, Dinagat Island, Puerto Galera and Batanes). 3. Be in love , this time for a lifetime. 4. Invest in a business. 5. Be fluent in speaking Spanish. 7. Get physically and spiritually fit. 8. Learn how to sing and dance with confidence. 9. Save twenty thousand pesos. 10. Treat my family in a yearly vacation. 12. Remain happy, whatever the circumstances are. 13. Stay in love with God. I know that many of these things are near impossible, but please help me by praying for me. It will be a big help in fulfilling my bucket list. When we are confronted with the pain of disappointment – one of the two things will happen. The disappointment will drive you to the Lord where you cry out for help, or else you will become bitter. And bitterness will begin to kill you. Is God responsible for all your disappointments in life? God ends up being a whipping boy charged with the responsibility for all our failures and disappointments. Think for a moment what would happen if God spared His children from all disappointment so thar only those who do not know Him suffer the pain and sorrow that disappointment brings. Our response to what we do not like or understood is a choice: bitterness or blessing. To harbor bitterness and hatred toward an individual who has wronged you is only natural; to forgive is supernatural. Bitterness may not send you across oceans or continents, but it can surely send you tailspin when it comes to your own spiritual life. The year is about to end. Two months shy and 2012 will be over. As I look back at the events of this year, I realized it had been filled with comings and goings – of people, to places and life in general. January 2, 2012 – The year was just about to start. But we already experienced an ending. At 8:05 p.m., we bid goodbye to our family patriarch, my grandfather. His death was painful and sad. Never in my life have I thought of losing him. But days before his death, as I watched and saw him cry out in pain every time we move him, when even the simple effort of raising him up to feed him would make him cry out in pain and when even hugging us back is hard for him, I cried out to God to let His will happen and we are letting Tatay go. It was not easy. It was one of the hardest thing to do. I have loved Tatay my entire life. He and Nanay raised me up. They were like parents to me. And I never expected the multitude of people that would visit and pay their respect during Tatay’s wake. I will forever be grateful to God for using this people to provide us comfort and strength during those hard and sorrowful times. 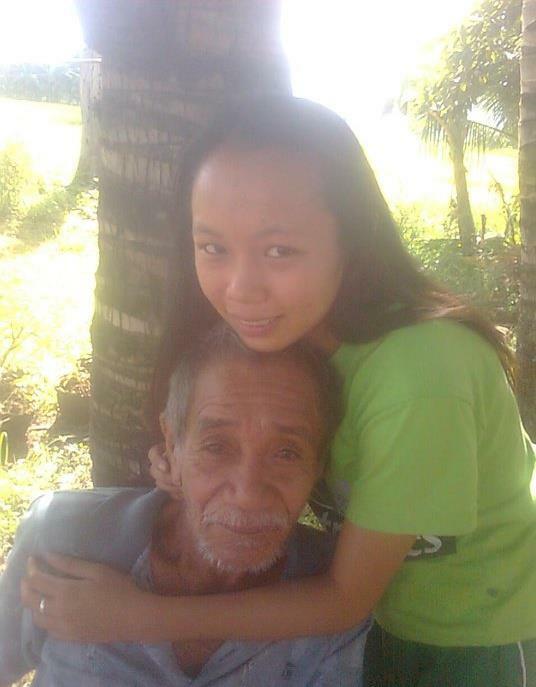 Me and Tatay, few months before he passed away. I still miss you ‘Tay. 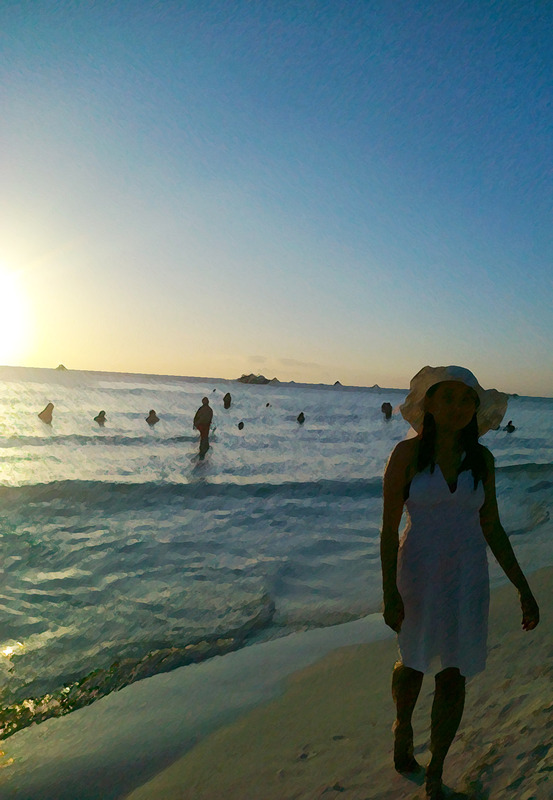 June 9, 2012 – Four months after Tatay’s death, Nanay followed. Her death shake foundations of my being. Losing them in a year literally broke my heart. I always knew they loved each other so much, but I never thought that even until death, they would follow each other. I admire Nanay for her strength, and I praise God for His graces to our family – emotionally, physically and financially,that we were able to survive these challenges. Many of us are still coping with their deaths, I included. Many times, I would just stop whatever I am doing and think of Nanay, of what she will say at a certain scenario. Or I will look back at the times I spend with her – market day, family day, any random day and realized how special those days were. I thank God everyday of my life for giving me the opportunity to grow under Nanay and Tatay’s watchful eyes. I may have been a little spoiled, a little bratty but I knew my limits. I knew love because God has used my grandparents for me to witness what love is. I knew forgiveness because God has channeled the lessons of forgiveness through them. I knew compassion, because God has given me a compassionate family. Rest well Nanay and Tatay. I know that God is waiting for you in His Kingdom. Lord, accept my Nanay and Tatay. I know that they have lived on this Earth by your grace. – that’s what I have realized. Amidst my sorrow in losing Nanay and Tatay, He gave me a ministry to nurture and take care of. 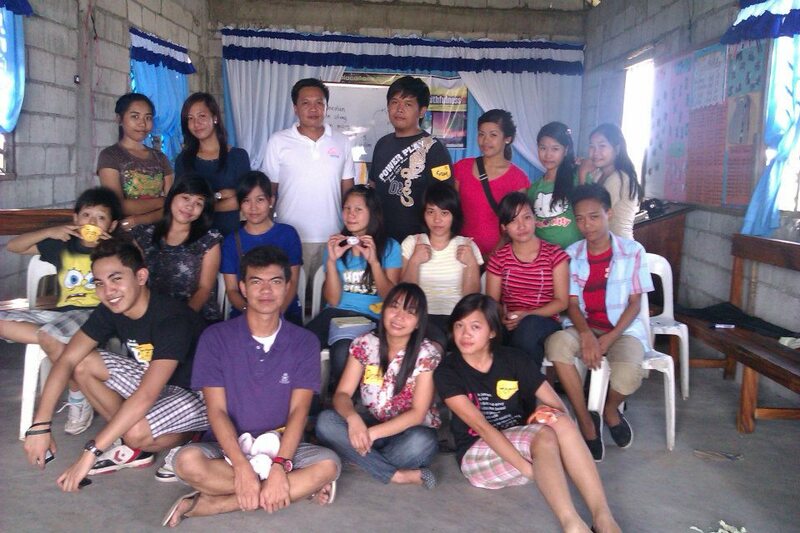 He gave me Vessels of Christ Fellowship, together with its two sister ministries – MBC and Tungko. Truly enough, God gives us everything we need, as long as we call upon Him and serve Him with all our hearts. 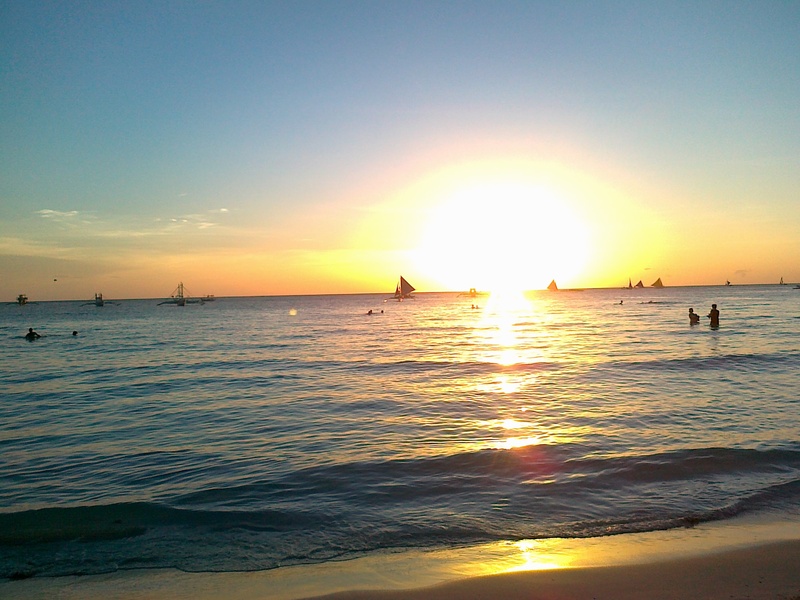 Over the weekend, our family went to Boracay Island for a brief breather. It was also the first family get together since the death of our grandmother and grandfather earlier this year. Our flight is supposed to be at 6:00 p.m. But due to air traffic congestion, unavailability of airplane parking and many more hiatus at NAIA Terminal Three, we were able to board the aircraft at 7:00 p.m.
My cousins, waiting for the boarding call to Kalibo. Our flight was delayed for an hour. Upon arrival at Kalibo, we were met with rain showers and a wet, pseudo-flooded airport. Surely, Kalibo International Airport is an international airport. The government ought to improve its facilities and services. Since it’s late already, we went home. My parents hailed from Makato, Aklan and they were there to met us. Upon arriving home, dinner was gobled, “pasalubong” were distributed and while some of us immediately dozed off to dream land, I had a long chat with a little cousin and by 12:00 midnight was asleep. Wake up time was at 4:00 a.m. since the van will be picking us up at 5:00 a.m. As usual, I woke up ten minutes before 5:00 so i just freshen up and rode on the bus. The ride from home to Caticlan Jetty Port was already a bonding moment for the family, with the two youngest kids making the most of the noise. Upon arrival at the Jetty Port, my temper started to rise up. We are being obliged to pay the Terminal Fee of Php 100.00. We told the ladies in charge that we are local Aklanons but they won’t believe us because some of my cousins, though they know how to speak Aklanon has that “tagalog accent.” To make things fast, we paid the required terminal fee. 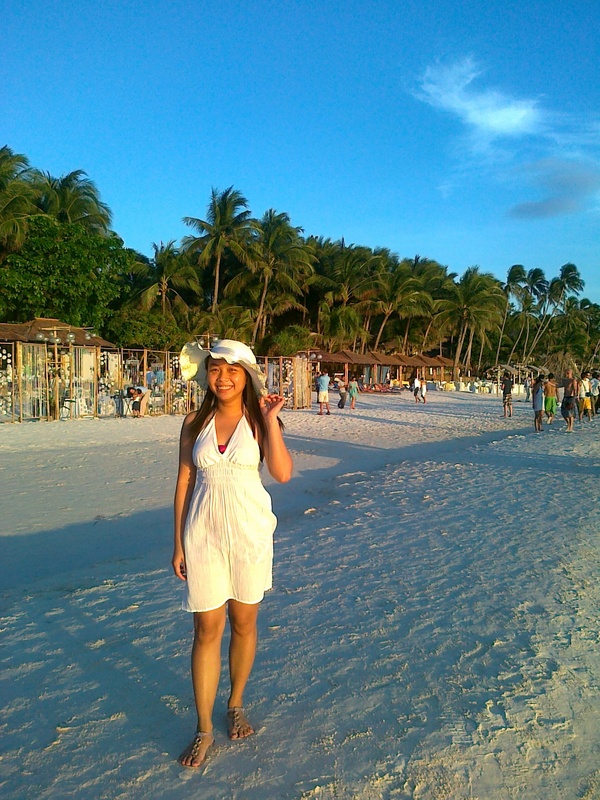 In Boracay, we stayed in Quenns Beach Resort, in Station III. 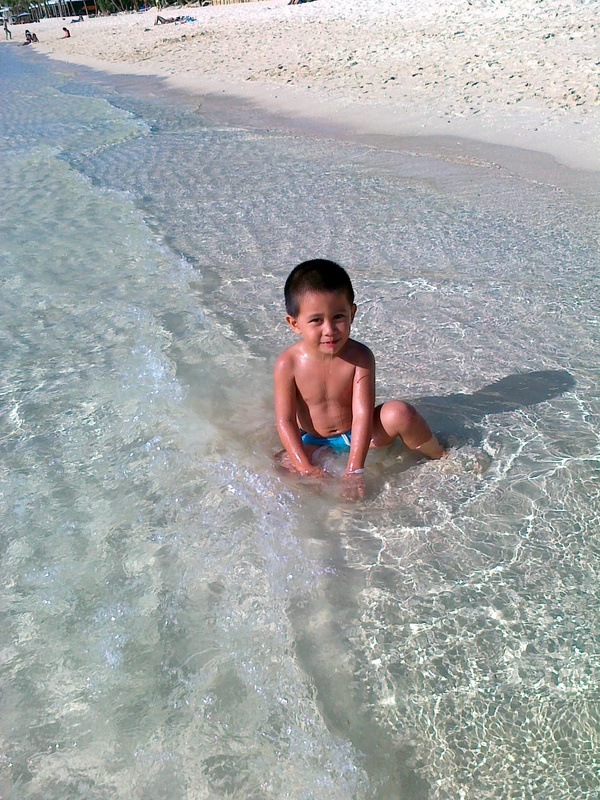 The resort has good services and facilities, it’s literally beach front and the staff are accomodating. They even have the tolerance to answer all the “whys?” my three year old cousins can think of. The only thing that almost ruined that stay in the island is the very expensive terminal fee. Honestly, I wouldn’t mind paying it, if only I can see where it is being used. But seeing all the waste scattered in the island, seriously, a hundred pesos terminal fee??! 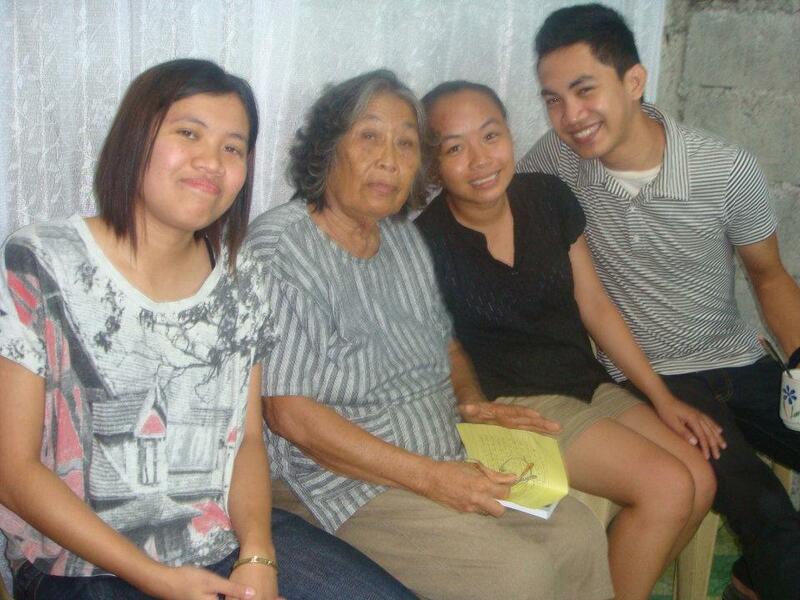 ( from Left – Right) Our eldest cousin, Chacha, another cousin, Crez, my mom, my sister and another cousin, Ezra John. 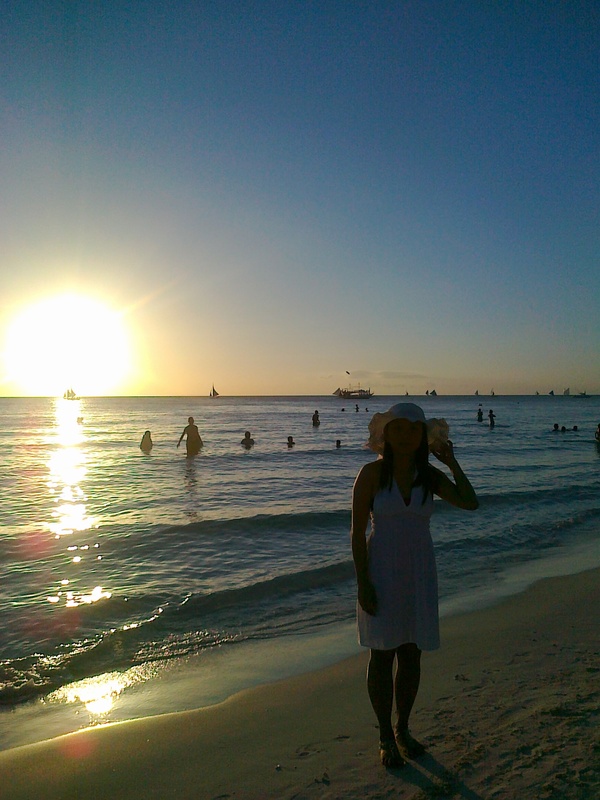 Sunset in Boracay. It is so amazing, wonderful and touching. We were also able to experience (again!) the Banana Boat Ride. And since my tita is such a good haggler, we were able to get it for Php 200.00/head. It was a treat. At night, my cousins decided to party at Summers Place while I dozed off to dreamland. I woke up early and decided to take a stroll at the sea shore with my little cousin, who is in a hot pursuit for a taho vendor. tahoo.. saan na ang taho? 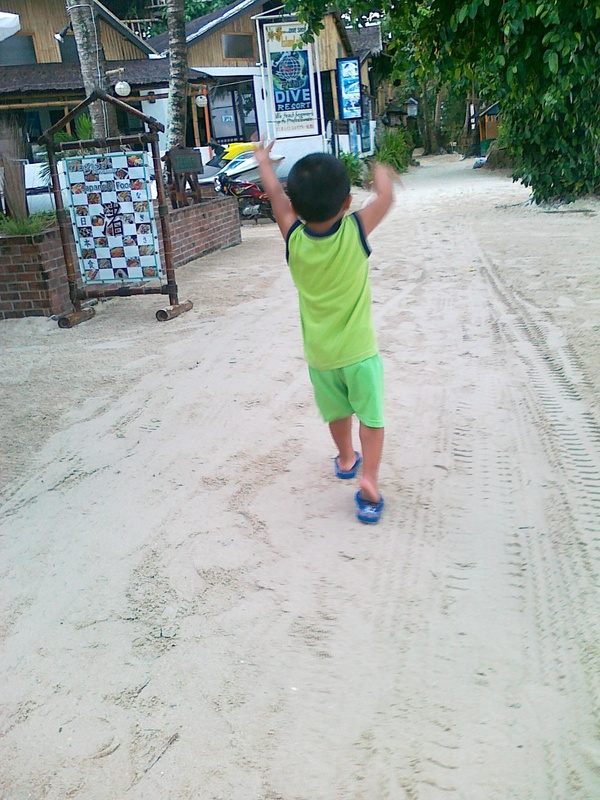 wait for me..
my cousin, on the pursuit of taho. We left the island at 12:00 noon. 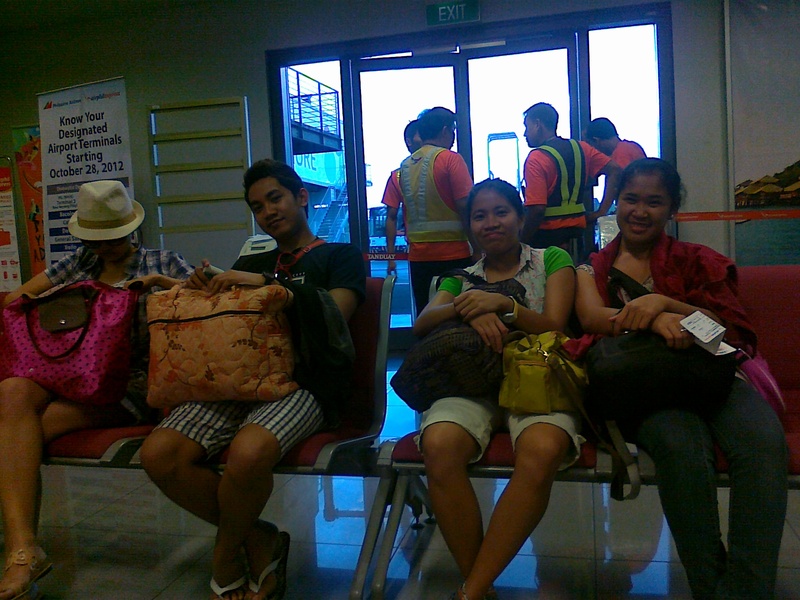 By 2:30 p.m., we are at Kalibo International Airport already. It was such a hassle to check in and proceed at the pre-departure area since the airport catered to more than four airline but it’s check in area is so small. And then again, our flight back to Manila is delayed.